You love your dog — but you may not love how he behaves. At Four Paws Playground, we provide positive training so you and your family can build a strong bond with your canine friend. You learn to reward positive behaviors and redirect unwanted ones. 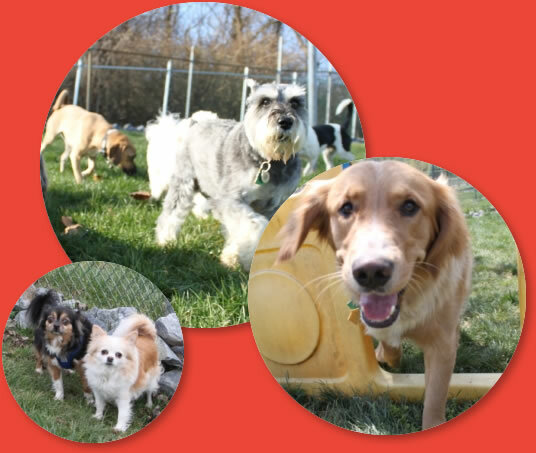 Our positive training classes are led by Mychaelann “Myke” Miller, owner of Four Paws Playground, who has experience in many styles and types of dog training. Puppy kindergarten. Even young puppies need to learn that there are rules and boundaries to follow. Sessions are geared to their short attention span and include ten minutes of socialization. You will learn different commands and the importance of consistency at home. 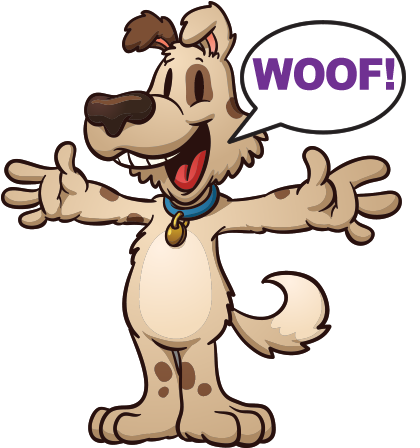 We also help you understand your puppy’s body language and how your dog interprets your actions. Basic. Dogs 5-1/2 months and older are ready for basic training or reinforcement of earlier training. 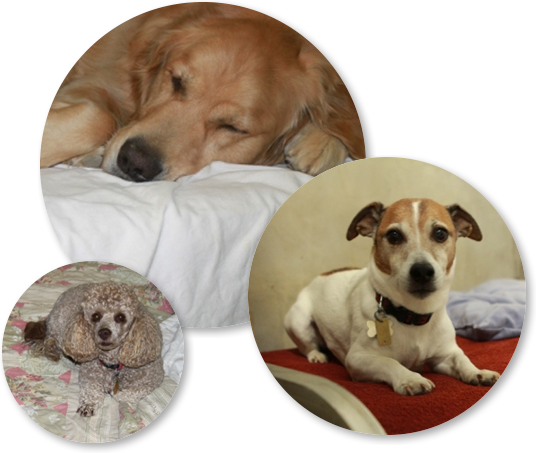 We help you understand your dog so you can encourage positive behavior. We explain strategies to correct unwanted behaviors such as nipping, jumping and pulling. Your dog becomes more confident and experiences less separation anxiety. AKC Canine Good Citizen (CGC) workshop. This training prepares you and your dog to pass the American Kennel Club (AKC) Canine Good Citizen test and earn certification. This signifies that your dog is trained to act mannerly in your home, in public and in the presence of other dogs. 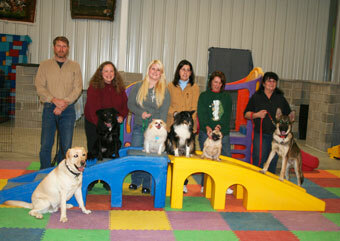 This workshop also prepares your dog for more intensive training for competitive canine sports. Therapy Dog International (TDI) workshop. Dogs certified by Therapy Dog International (TDI) bring comfort and companionship to adults and children in hospitals and nursing homes and wherever else they are needed. This workshop prepares your dog to earn this important recognition. You receive a handbook, overview of all exercises on the test, practice sessions and a checklist to help you know when your dog is ready to take the test. Private lessons. While most of our classes take place in group settings, we do offer privates lessons focused on your particular needs and goals for your dog. 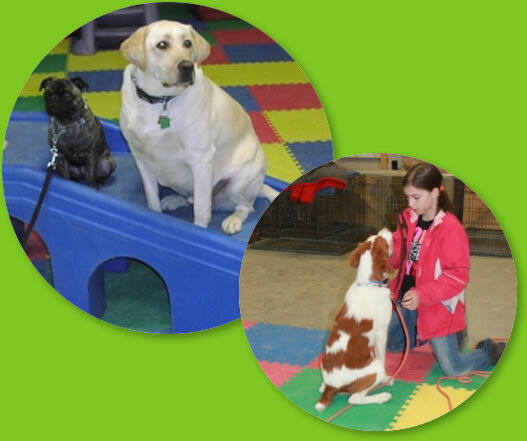 Lessons include puppy kindergarten, basic obedience and assistance training. Private lessons can be held at your home, at Four Paws Playground or at another designated place. 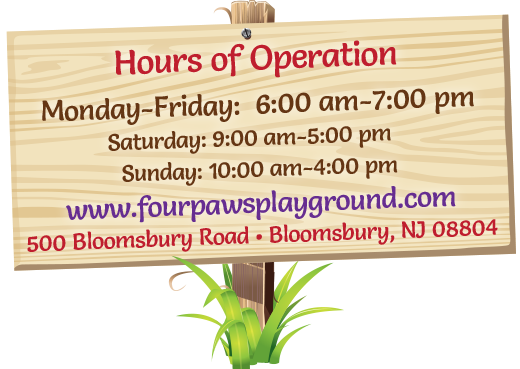 Four Paws Playground caters to your dog’s every need, offering secure doggie daycare, crateless boarding and positive training classes, serving the Phillipsburg, New Jersey and Easton, Pennsylvania areas. Call us today to begin positive training for your dog.